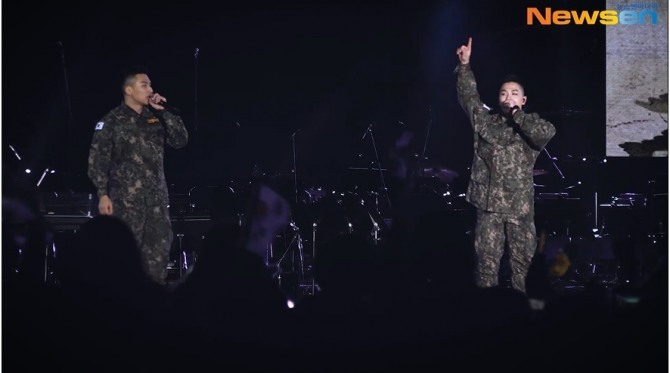 Big Bang’s Taeyang and Daeseong, currently serving in the Army, showed their star power at a concert celebrating the 100th anniversary of the establishment of Korea’s provisional government. Taeyang took to the stage working the audience with a single charismatic hand gesture. Getting into the groove of “Ringa Linga” with his usual dance moves, his star power shone through regardless of his olive uniform. Daeseong delighted the audience with his trot song “Look at Me Gwisoon,” getting energetic and comic before finishing off the stage with a salute. The concert also had other performers in the army, Highlight’s Yoon Doo-joon and actor Go Kyung-pyo as well as guests that included Hong Jin-young, SF9 and Lovelyz. Watch the full clip at https://www.vlive.tv/video/123286. The boy band sits together with unreadable expressions in an after-party setting complete with balloons, mirror balls and glittery swirls. The mood, however, is soon subdued as suggested by the color of black dominating the scene. Written and composed by members Bang Chan and Han, the song describes the angst of young men who are about cross the threshold into their 20s, and hence adulthood. Han, along with Hyunjin, Felix and Seungmin actually are 19. 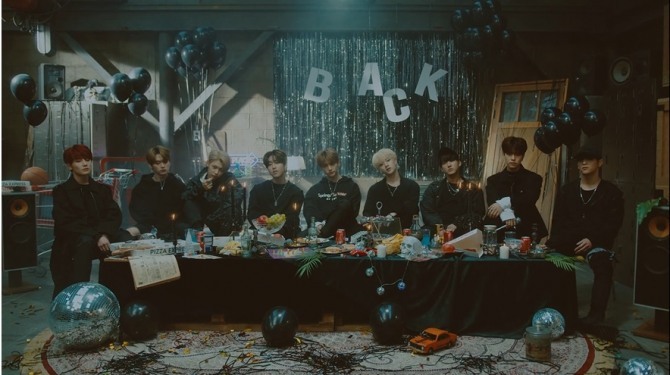 Stray Kids will resume their first showcase tour visiting Manila on April 27 before flying to the US where they will hold four live performances in New York, Los Angeles and Houston in May. Watch the full video at https://www.vlive.tv/video/123261. 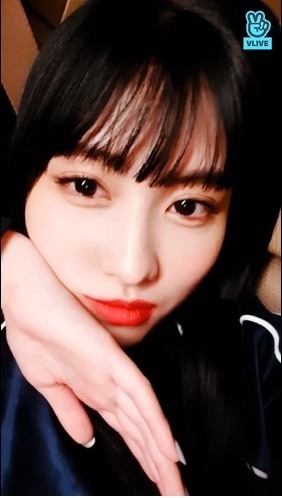 Twice’ Momo offered advice to her fans who shared their worries in a marathon live segment on Naver’s V Live. “As you know, I have been on standby for five hours and the actual shooting lasted only 10 minutes,” she said returning for another solo appearance for the app. “Maybe I should have gone to the residence but instead decided to talk to you on V app,” said the idol showing off her new haircut and new manicure. Switching between Korean and Japanese, she admitted that she is a little sleepy -- “I’m okay though. I’ll sleep well today when I return to residence” -- but kept reading fans’ messages commenting, empathizing and answering questions. “I usually eat with other members but I don’t mind being alone. I sometimes go shopping by myself,” said Momo of her off-schedule life. Watch the full video at https://www.vlive.tv/video/123268. 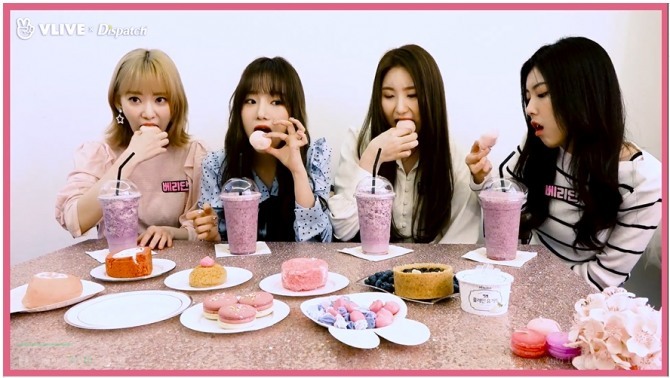 IZ*ONE relished over a table full of delicacies made of berries, from blueberry smoothie to meringue and rice cakes made with the sweet and sour fruits. Taking over the camera from the trio of mint chocolate lovers, four members of the 12-piece girl group were in for a treat filled with spring. Tasting each menu with apparent joy, Sakura, Yuri, Hyewon and Chaewon savored the flavors. To better share the moment with their fans with an “autonomous sensory meridian response” session, Chaeyeon brought in an audio equipment. Hyewon went first with mouthwatering sounds of crunching a meringue while Chaeyeon did her share with a rice cake. Yuri also tried meringue happily adding “it’s delicious” and Sakura continued eating her macaron although she failed to make a satisfactory sound. After each member had a turn, all jumped at their own favorites almost forgetting about the camera. Watch the clip at https://www.vlive.tv/video/122576.